The perfect addition to your Lenox Nativity collection. The Standing Camel & His Master are made of ivory fine china, then accented with precious gold and colorful enamel jeweling. 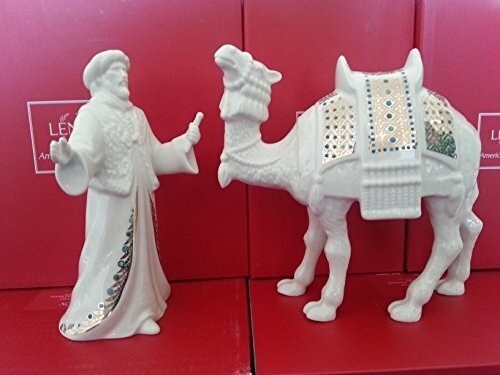 Camel Master Height: 6 1/2" Camel Height: 6"
If you have any questions about this product by Lenox China Jewels Nativity, contact us by completing and submitting the form below. If you are looking for a specif part number, please include it with your message.